Re-modelling of an East London apartment. The client was a creative personality from the restaurant business who loves cooking! The apartment was a conversion in an old school, and included a mezzanine floor in what was formerly a large, double-height Victorian schoolroom. The client wanted to create a more liveable space, and in particular incorporate a dining area in which to entertain. He was after a modern-uncluttered feel and we were working on a tight budget. This project was carried out by Camilla's previous company, Trunk. 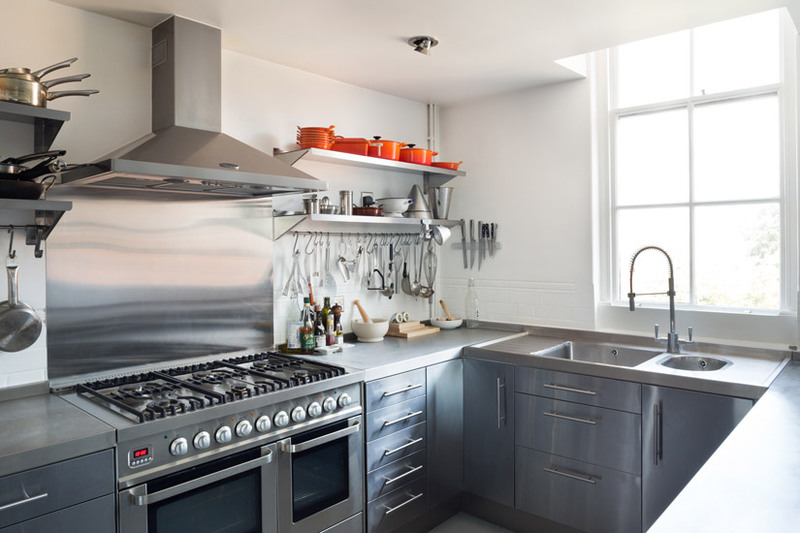 The most significant change was to move the kitchen from the living room into a storeroom. 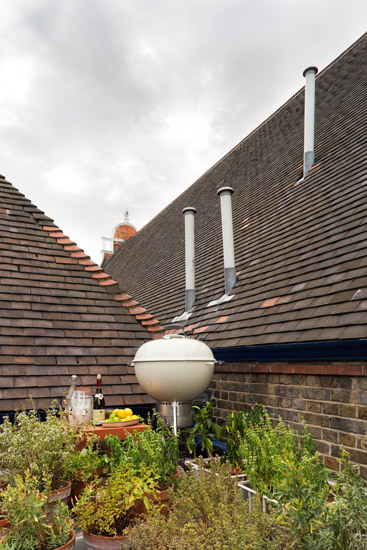 This required planning permission for the necessary ventilation etc, which had to be carefully planned so as to not introduce visual incongruity in the Victorian exterior. 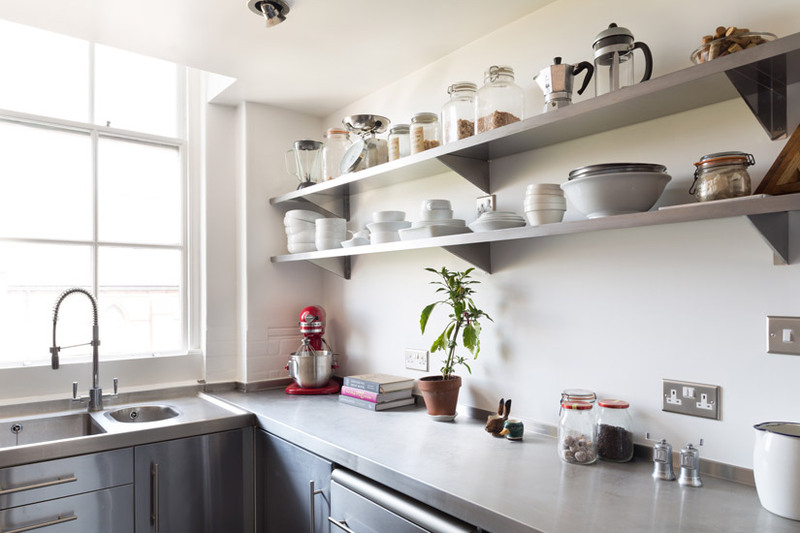 For the kitchen itself, we wanted an industrial feel to reflect the client's day-job, and created a bespoke stainless-steel worktop to fit over standard Ikea units. We opened up the living room, formed a dining area and refurbished the entire three-bedroom apartment. The colour scheme was designed to reflect the light making for a bright and airy space. Details like replacing the radiators created a style that was unobtrusive and reflected the origins of the building, this enabled the client’s existing furniture to become the centre of attention. 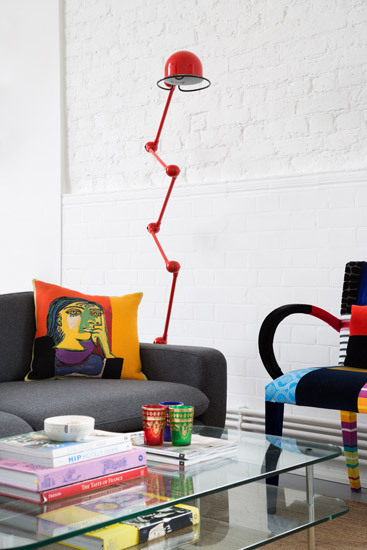 The overall result; a bright, light, vibrant and harmonious apartment.